We had some mashed potato left over last week. 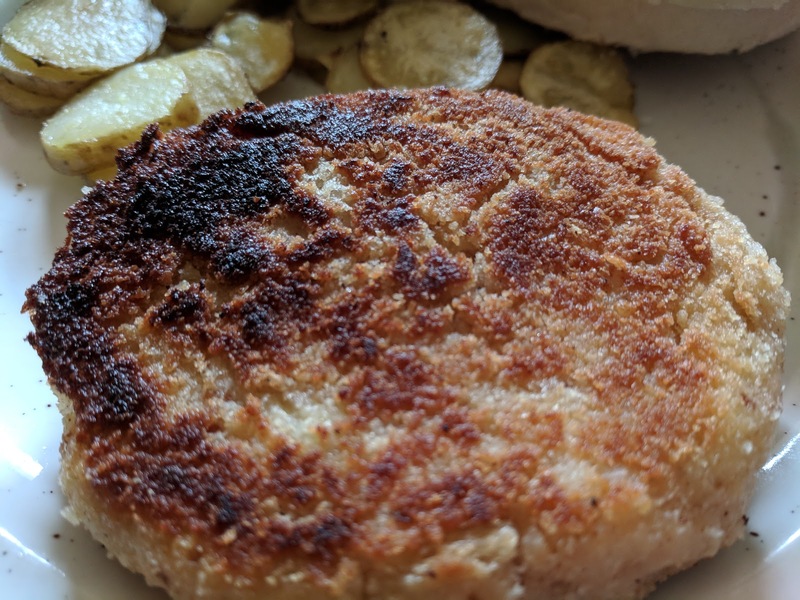 It doesn't often happen but I knew immediately what it would be good for – fishcakes. I normally make smoked mackerel fishcakes but I as didn't have any in the freezer I decided to go with tinned pink salmon for a change. I have to say I can't ever remember buying tinned salmon and since the choice was simply between one tin of pink salmon and one of red salmon I went for the pink as it was 50p cheaper. What I didn't realise is that the salmon would be full of so many bones. I have now found out that you can buy boneless tinned salmon but of course it is twice the price – the cost of convenience. It was worth the effort to take all the bones as the fishcakes were gobbled up very quickly. 1. In a small bowl remove any bones from the salmon. 2. Mix in the potato, mayonnaise, lemon juice and black pepper to taste. 3. Combine well and then shape into four equal sized fishcakes. 4. for at least 30 minutes so the fishcakes retain their shape. 5. Once chilled dip the fishcakes one at a time in the beaten egg and then cover with breadcrumbs. 6. Heat the oil in the frying pan and cook the fishcakes on each side until golden and the fishcakes are cooked through.